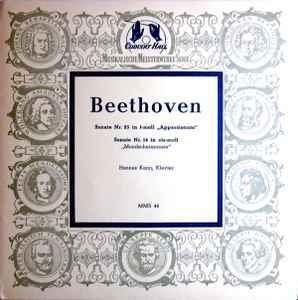 Beethoven*, Hannes Kann ‎– Sonate Nr. 23 In F-Moll "Appassionata" / Sonate Nr. 14 In Cis-Moll "Mondscheinsonate"